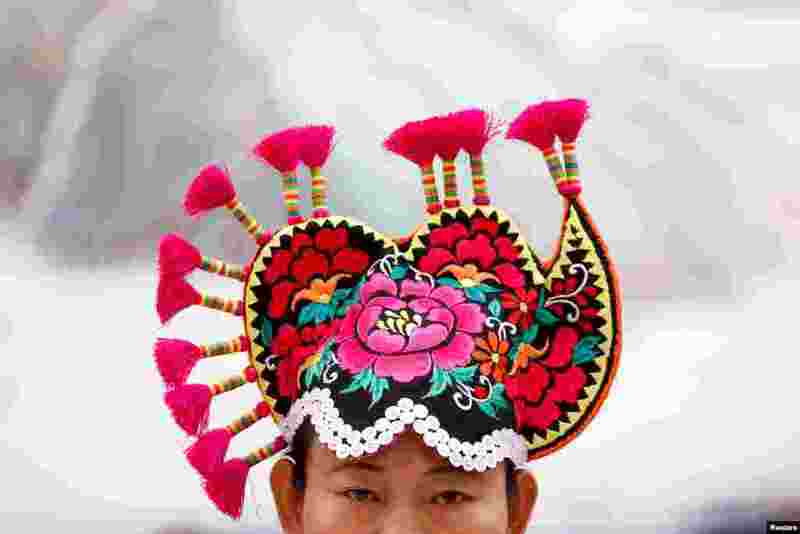 1 A woman wears traditional headgear during a session of the Yunnan province on the second day of the 19th National Congress of the Communist Party of China at the Great Hall of the People in Beijing. 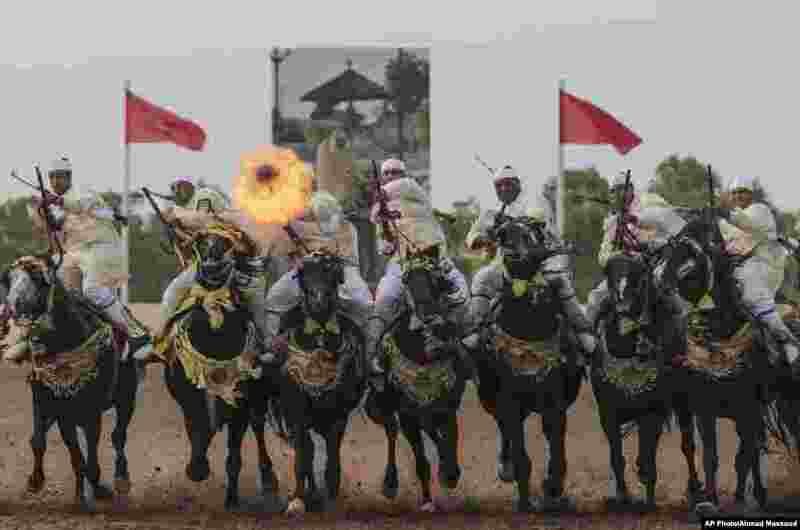 2 A troupe charges and fire their rifles loaded with gunpowder during a national competition for Tabourida, a traditional horse riding show also known as Fantasia, in El Jadida, Morocco, Oct. 18, 2017. 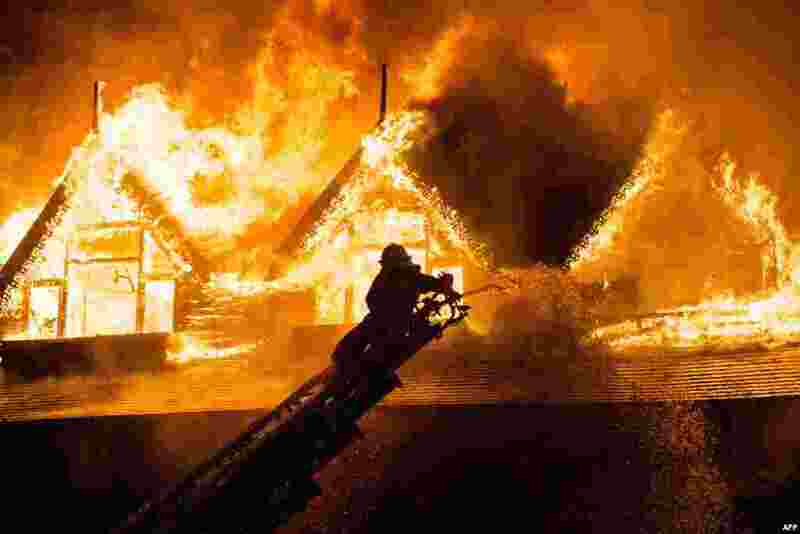 3 A firefighter extinguishes a fire at Kandawgyi Palace hotel in Yangon, Myanmar. One person died in a pre-dawn blaze that tore through a teakwood hotel popular with foreign visitors to the country's main city. 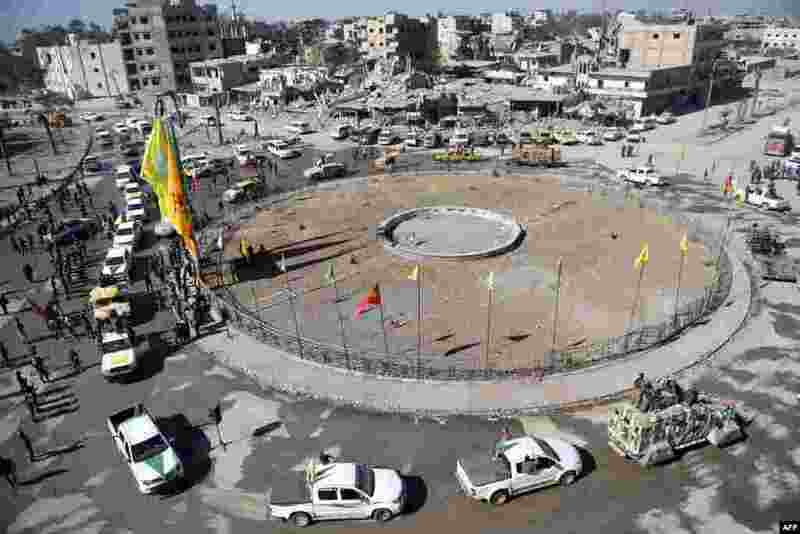 4 Female fighters of the Syrian Democratic Forces (SDF) gather during a celebration at the iconic Al-Naim square in Raqqa, after retaking the city from Islamic State (IS) group fighters.